We all know someone who has a slightly odd like or love for a certain someone or something. You may have a friend who has a weird fetish for ceramic pigs or an auntie who collects Elvis themed tea towels. Well I was browsing through Amazon.com the other day and found the perfect gift for all those mechanical keyboard geeks that love nothing better than running their fingers across their Cherry Blue MX switches all day, everyday. It’s none other than a….. Yes you are actually seeing this!!! HAHAHAHA!! 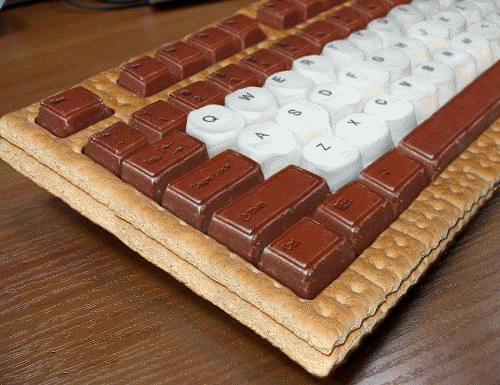 What better way to spend your working day at your keyboard than eating a mechanical keyboard shaped waffle! Ok, you’ll be 20 stone in no time at all, especially if you smother the thing in Nutella and sprinkles! The Keyboard waffle is made from a die-cast, non-stick, easy to clean aluminum, which ensures that the waffle maker is durable and strong. 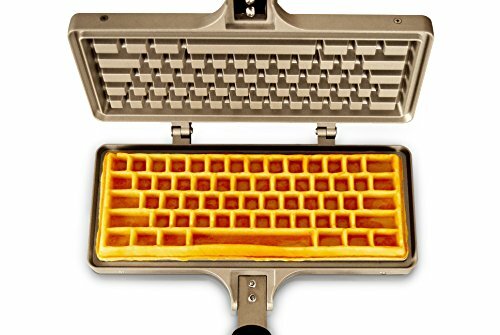 It’s really lightweight enough to be able to bring to work with you, if you want to showoff and make keyboard waffles for all your geeky work mates. 1. Pre-heat The Keyboard Waffle Iron on your cooker hob,stove or grill. You will need to lightly coat the waffle mould with a non-stick cooking spray, just so it doesn’t burn and stick to your waffle maker. 2. Pour in your waffle batter. You can get a decent waffle batter recipe here, or just use a boxed pancake mix. Close the lid on your keyboard waffle maker and cook the batter for 2-3 minutes. 3. You then need to flip the Keyboard Waffle Iron over so that you can cook the other side. Do this for an additional 1-2 minutes. 4. 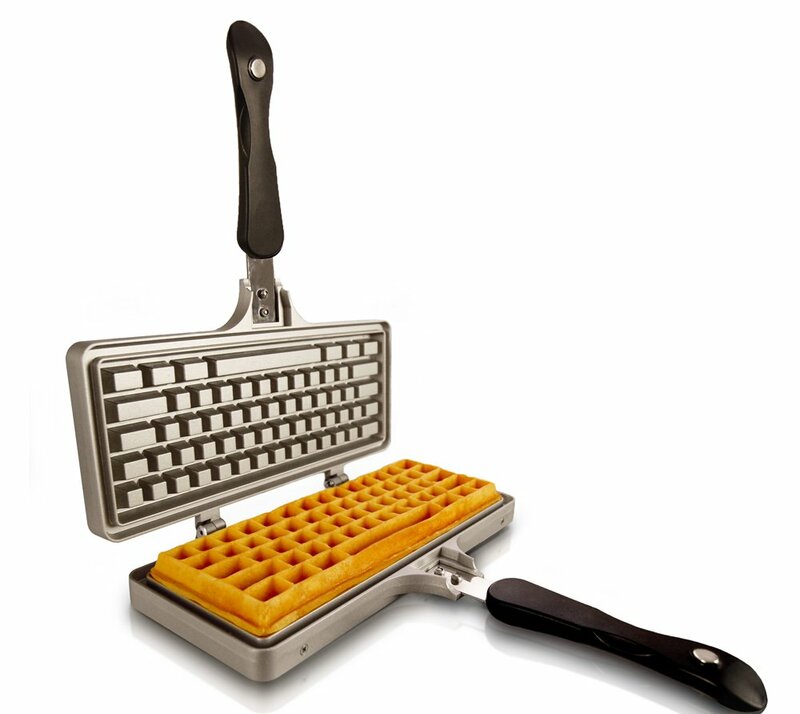 Devour your keyboard waffle before anyone can see your sick fetish. 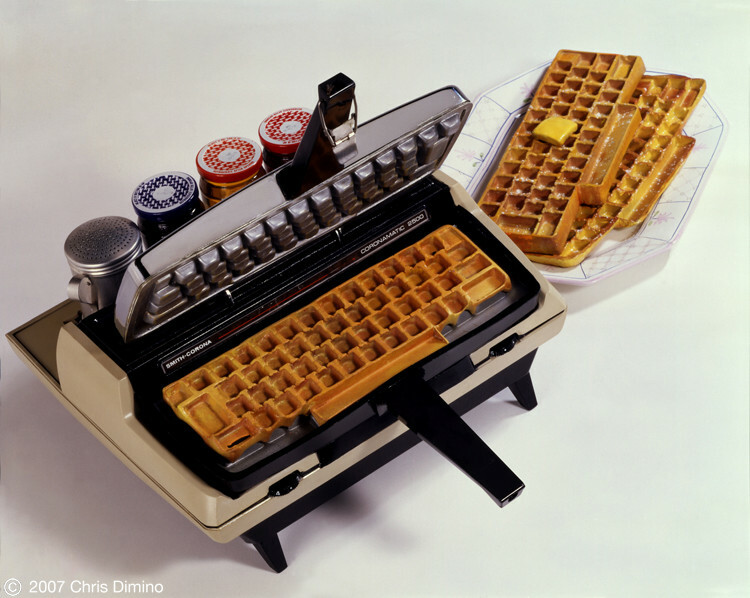 Check this Typewriter Keyboard Waffle Maker!!! I’ve been looking all over the internet for this model, but I think it might be a bespoke / handmade waffle maker. If anyone knows where I can get one, please leave a comment with the details as I’d love to have this one!! !